While driving one evening to a party, a young couple (Lizabeth Scott, Arthur Kennedy) are shocked when the driver of a passing car tosses a satchel of money into their convertible. Scott wants to keep their windfall, though Kennedy wants to turn it in to the police. 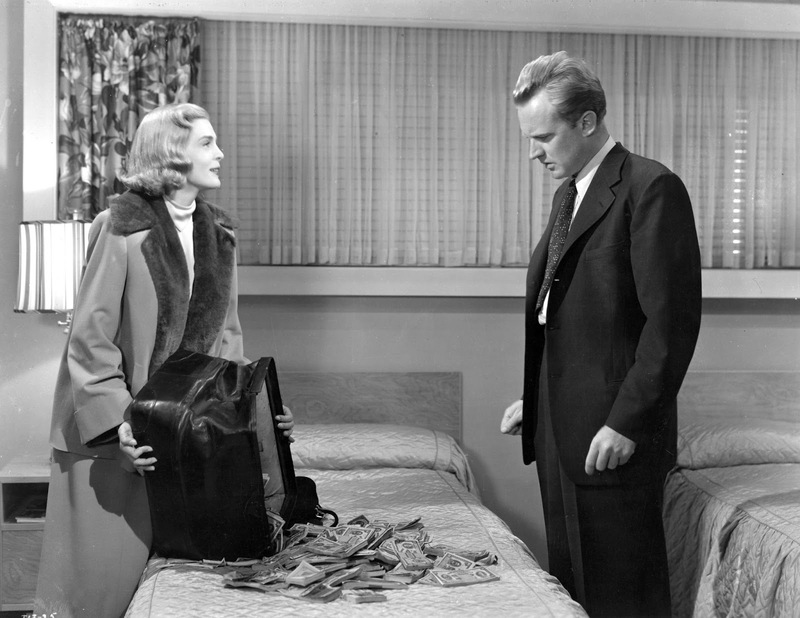 To give his wife time to realise the money can bring no good, he agrees to store it away for a week. 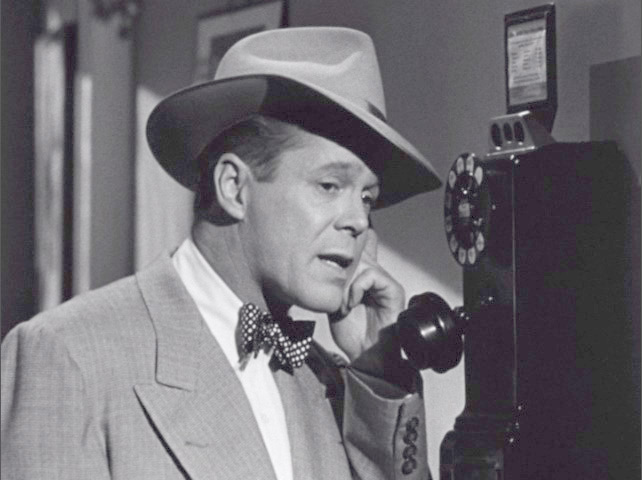 The next day, a sleazy crook (Dan Duryea) shows up, claiming the money as his, but it’s an open question as to whether he or Scott are more determined to have the cash. And that’s when things become complex - for everyone. 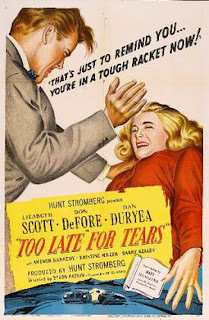 An excellent crime drama, Too Late for Tears showcases a career-making performance by Scott, as one of cinema’s hardest-hearted femme fatales. Her machinations are intricate and ambitious, but realistic. Propelled by the obsession to avoid the shabby lower middle-class life of her youth, Scott won’t let anything stand in her way. Most of the other actors are fine in their roles. Kennedy plays Scott’s husband as decent and understanding - though not understanding enough - and while Duryea’s part may be seen as the sort he could have played in his sleep, it has depth to it, especially as he begins to comprehend that he, a life-time criminal, has more of a conscience than the housewife with whom he’s become entangled. 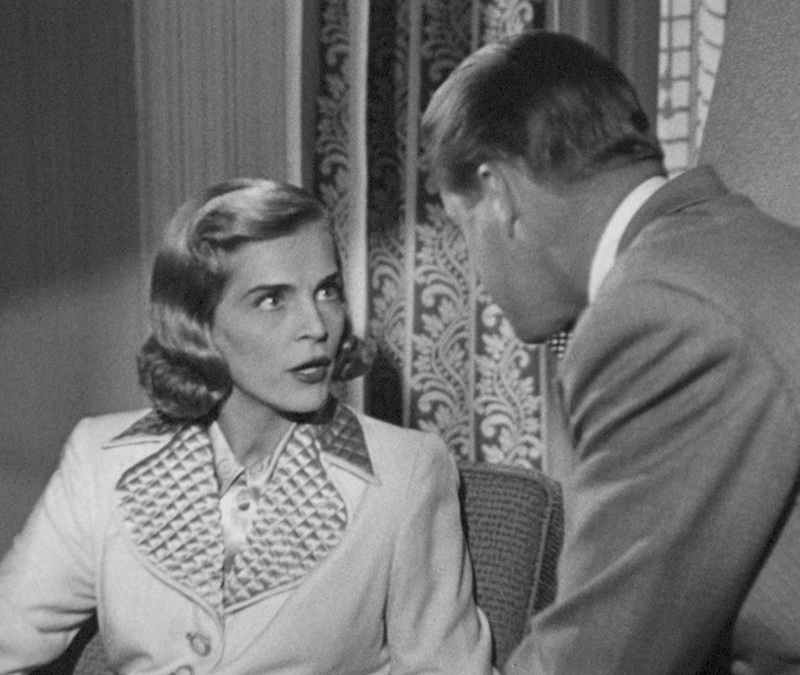 Kristine Miller, as Kennedy’s sister, is the weak link in the cast; her acting is passable, but not up to the level of the others. 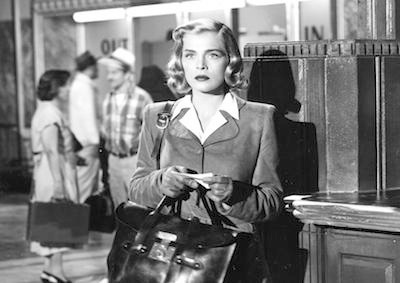 The plot is not simple, and the viewer never knows who has the upper hand from one scene to the next; neither do the characters. 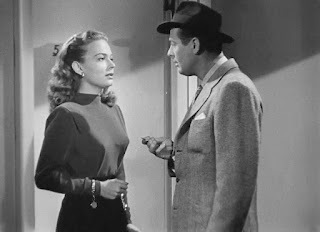 Don DeFore shows up in the movie’s second reel, claiming an acquaintance with Kennedy, but what he is really after keeps the audience guessing. There are a few flaws, such as a police detective (Barry Kelley) who seems quite competent, but who becomes conveniently thick-headed with regard to some evidence, principally so the amateurs looking into the affair have to go it alone. Aside from a few excusable elements that could have been better handled, the story is satisfying. The direction, script and cinematography are all good, without being very good. 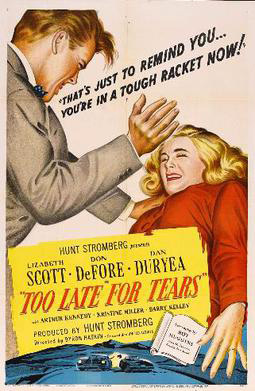 Too Late for Tears is, in fact, a film with many average qualities, elevated by the acting and the story. It was probably filmed on a slim budget, but should be remembered after more expensive movies are forgotten. It’s an example of what one or two factors can do for an otherwise normal work. I just looked up a plot summary for this movie (yeah, I'm one of those people who WANTS spoilers.) Whoa. Jane made the Kathleen Turner character in "Body Heat" look like an angel of mercy. The cover of the box got to me, as it appeared that the male was slapping the female. But apparently from your report, she was the real piece of work.